Integrate your online store with various social services. 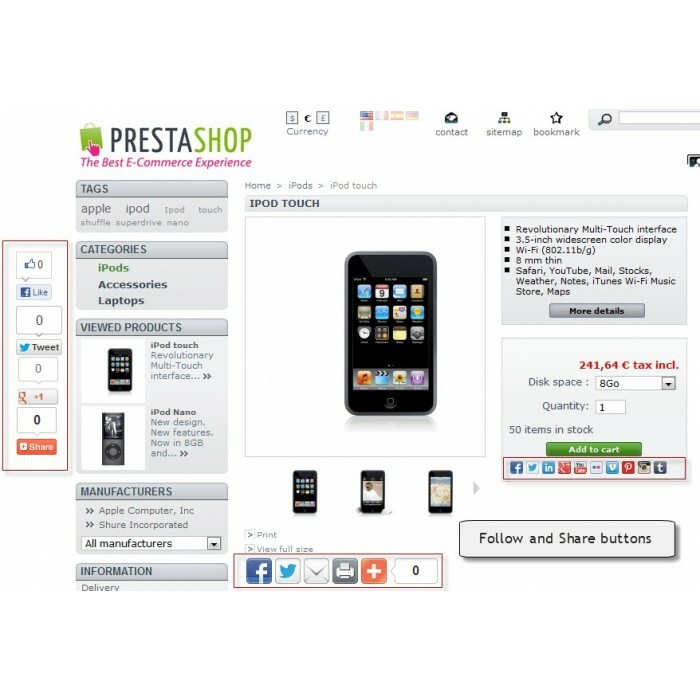 Install PrestaShop Share and Follow module to encourage customers to follow your corporate social profiles and share store products on Facebook, Twitter, Pinterest, Foursquare, Instagram and others. There is no need to create special social apps for your store; you add service buttons to be displayed in the back-office. Social marketing is as important for eCommerce businesses as skillful administration. Surround customers with opportunities to tell friends about your products and stay updated on store news via your corporate social profiles. 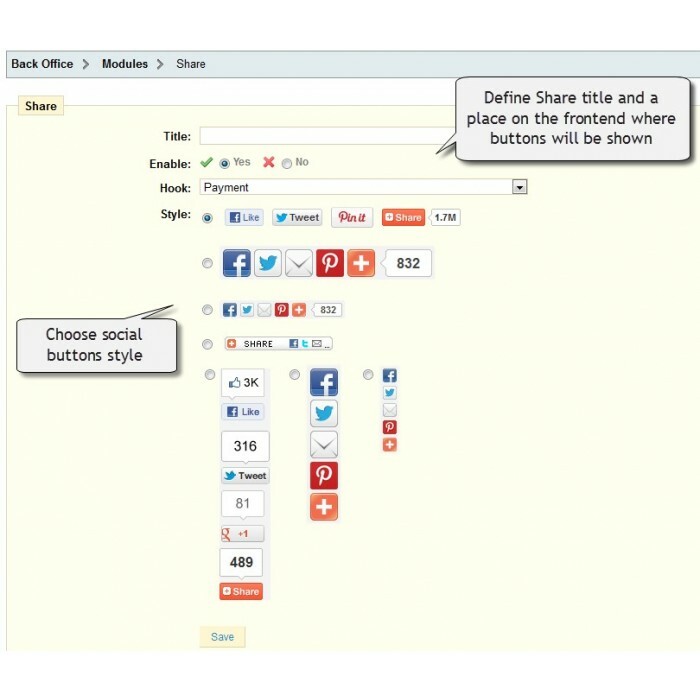 Social buttons may be displayed at any place of the store – homepage, product page, checkout, left column, etc. 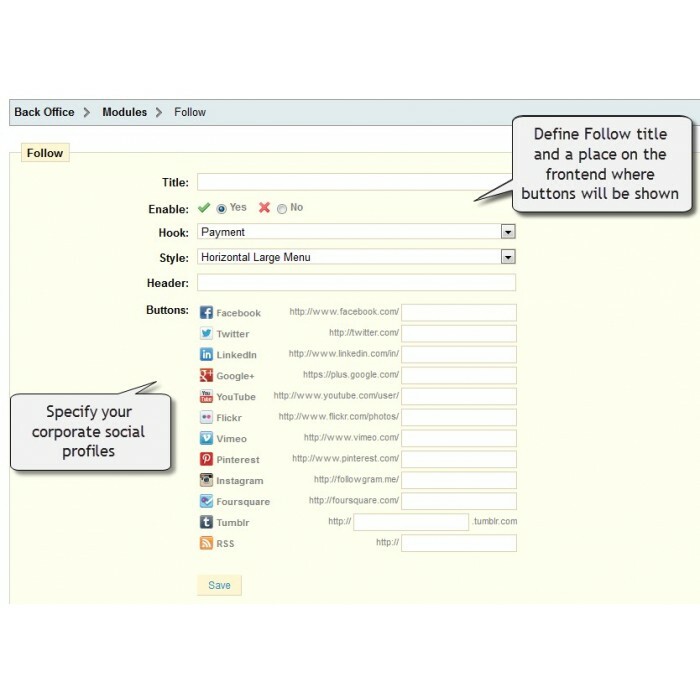 Configure their style and position in the admin panel. Don’t worry if a new social network appears and you are not connected to it. We integrated this module with addthis.com, so all present-day services will be added automatically.